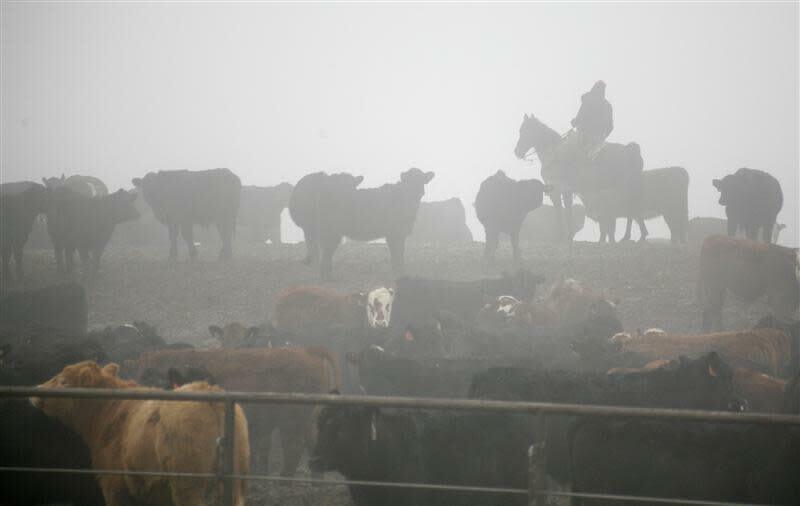 WALLA WALLA COUNTY, WASHINGTON (Reuters) - The U.S. beef industry's dependence on the muscle-building drug Zilmax began unraveling here, on a sweltering summer day, in the dusty cattle pens outside a Tyson Foods Inc slaughterhouse in southeastern Washington state. The animals' feet were "basically coming apart," said Keith Belk, a professor of animal science at Colorado State University. Belk said he reviewed photos of the lame cattle, though he declined to say who showed them to him. The 17 animals had a factor in common, according to an examination of U.S. government documents and interviews with people who had direct knowledge of the events. In the weeks before the cattle were shipped to Tyson's slaughterhouse, outside the city limits of Pasco, all had been fed Merck & Co Inc's profit-enhancing animal feed additive, Zilmax. The day after the hoofless animals were euthanized on August 6, Tyson told its feedlot customers it would stop accepting Zilmax-fed cattle. After Reuters reported the existence of a videotape of apparently lame Zilmax-fed animals - shown by an official of meatpacking giant JBS USA LLC at a trade meeting in Colorado - Merck itself temporarily suspended sales of the drug in the U.S. and Canada. The rest of the nation's leading meatpackers soon followed Tyson, the largest U.S. meat processor. "Several third-party experts were brought in to evaluate the situation, review the data and identify potential causes for the hoof issue," Merck's statement said. "The findings from the investigation showed that the hoof loss was not due to the fact these animals had received Zilmax." After temporarily halting Zilmax sales, Merck continues to state Zilmax is safe when used as directed, with no welfare concerns discovered in 30 research studies since the product was introduced in the United States in 2007. In addition, Merck said, the company is planning more field evaluations of Zilmax, using "a well-designed collection and analysis of data by third-party industry experts." A "prominent" epidemiologist and veterinarian will oversee the work, Merck said. Tyson Foods spokesman Gary Mickelson said his company doesn't know exactly what happened to the small group of cattle that were destroyed at the plant near Pasco. Some animal health experts have told Tyson the use of Zilmax is a possible cause, he said. Tyson had seen some cattle mobility issues in the past, but "the issues at Pasco this summer were more severe" than the company had seen before, Mickelson said. Regardless, the episode at the Tyson plant - which hasn't been publicly disclosed until now - is coming to light at a time of growing concern over risks to animal and human health posed by the increased use of pharmaceuticals in food production. Livestock pharmaceuticals use is expanding as part of the push to produce more meat at lower cost. "It would hurt a whole lot," said Grandin, who said she has not witnessed any of the incidents of Zilmax-fed cattle with lost hooves. When animals delivered to slaughterhouses are unable to walk on their own, Agriculture Department regulations require such "downer" cattle be destroyed and their meat prevented from reaching consumers. "My assessment is that I do not see data supporting the concerns today, at least the data that I have reviewed and been aware of," said University of Nebraska-Lincoln animal science professor Galen Erickson, in response to questions from Reuters about Zilmax's safety. But some previously staunch supporters of Merck's innovative growth drug are beginning to question the product's safety record. "Maybe we found the point where we pushed the cattle just so hard in the sake of making a buck that we exceeded the biological limits of the cattle," said Abe Turgeon, a prominent livestock nutritionist, who had previously recommended Zilmax to some customers. Merck Animal Health, the unit that markets the additive, said proper use of Zilmax "does not affect the safety or well-being of cattle." Moving beyond the 30 studies it cited at the time it suspended Zilmax sales, Merck in August launched an audit of how the product was being used in the field, created an advisory board to review management practices in the feedlot and animal nutrition industries, and provided new funds for field research on Zilmax-fed cattle. The agency said it has taken no action related to Zilmax. When asked for comment about the adverse-event reports filed by Merck, an FDA spokeswoman in a statement said the agency "has not reached any conclusions on the safety of Zilmax but the agency is continuing to receive and evaluate data. As part of this process, the agency is always interested in new information." Zilmax was worth nearly $160 million in annual sales in the United States and Canada last year, and was a steady cash generator for Merck's animal health business, which has about $3.3 billion in global sales. The additive served as a go-to solution for a troubled cattle industry, as one-fifth of the nation's feedlots went out of business over the last decade. With cattle herds in sharp decline, Zilmax worked along with improved animal genetics and feed to produce more meat with fewer animals. The United States produced nearly 26 billion pounds of beef from a herd of 91 million cattle in 2012, according to USDA data. In 1975, when the nation's cattle herd hit a peak of 135 million head, the industry produced nearly 24 billion pounds of beef. Merck's Zilmax quickly developed a loyal customer base. Its popularity spread even to the show circuit, where ranchers' children today can win prizes exceeding $100,000 for raising big-girth bovines. In September 2011, an unidentified veterinarian at an Oregon feedlot reported "unusual hoof loss in cattle being fed Zilmax," according to one adverse event report reviewed by Reuters. Also in August, one Nebraska cattle producer, who is not named in the FDA documents, reported he had more dead cattle when he used Zilmax than when he didn't, according to the documents. The number of euthanized cattle and the other reports of cattle dying is also quite small relative to the more than 30 million cattle slaughtered each year. It is small enough that it likely hasn't raised significant red flags with the FDA, said David Acheson, the agency's former Associate Commissioner for Food. "I suspect that that's not going to trigger them to do much," Acheson said. Tyson's plant, about 14 miles southeast of Pasco, is an integrated modern-day packing operation, stretching the length of several football fields. Five days a week, more than 1,300 workers arrive and walk past security guards toward a mechanical rumble emanating from the plant's gunmetal gray walls. Washington state lies in the Pacific Northwest, with its soaring mountains and chilly rain. But the eastern flatlands around Pasco more closely resemble the Southwest's desert - and sometimes share its soaring summer temperatures. On August 5, of 17 cattle that were euthanized at Tyson's plant, the USDA inspector who condemned the animals noted that 15 had "lost toes." Two were destroyed for other reasons. The inspector identified at least one of the animals in the group that was put down as a heifer originating from Nyssa, Oregon. Beef Northwest operates a feedlot in Nyssa. Animals making the trip to Pasco would have stood in a trailer for four hours on a 95-degree day as it traveled to Tyson's plant. John Wilson, managing partner of Beef Northwest, confirmed that his company was using a Zilmax feed regimen this summer. About 40 of Beef Northwest's animals "developed lameness after arriving at a packing plant in two incidents in July and August of this year," he said. Wilson declined to identify the slaughterhouse and would not confirm the animals were destroyed. Wilson said Beef Northwest had never faced lameness problems with its Zilmax-fed animals before this summer. While Beef Northwest was dispensing Zilmax, Wilson said, the company strictly followed Merck's dosage and other instructions. "In our cases, dosages were not an issue, never an issue," Wilson said in a phone interview. "I'd like to think that we were on the upper edge of the industry as far as heavy oversight of all of our protocols." As feed-grain prices soared amid strong demand among livestock and ethanol producers in recent years, and with drought ravaging the U.S. crop belt, Zilmax seemed like an attractive solution. Some feedlot owners nicknamed it "Vitamin Z." "We couldn't find feed cheap enough to make any money" on raising cattle, said Turgeon, the cattle nutritionist who works with Beef Northwest. Many clients had adopted another beta-agonist - Optaflexx, made by Eli Lilly and Co's Elanco Animal Health unit. Elanco is Merck's biggest rival in the animal health business. During the debate, they broke into informal camps of "believers" who think Zilmax hurts cattle, and "disbelievers" who discount its negative effects, according to Larry Moczygemba, president of the academy. "Few, if any, think this is just a beta-agonist problem all on its own," Moczygemba said. "But our role as vets puts animal well being first."